Our workshops provide crucial skills and techniques in communication and problem solving for couples. With a scientifically proven curriculum, compassion and a critically acclaimed technique, couples will leave each class feeling stronger and more in sync. Workshops are led by a trained facilitator in the I-PREP marriage education program. Couples receive concrete materials for each lesson allowing them to work hard to implement lessons at home. Our training program creates compassionate and highly professional workshop facilitators. Are you passionate about helping couples to achieve a better level of communication? Join us is spreading the important message of marriage education. Our national and international conferences provide government officials, medical professionals, educational leaders, parents and couples with a thorough understanding of the need for marriage education and the problems which arise from the lack of governmental and corporate initiatives. 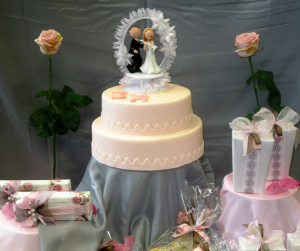 Getting Married or Staying Married? 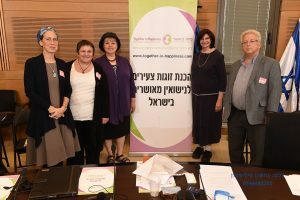 Together in Happiness offers marriage education workshops, conferences and advocacy work for the benefit of a greater Israeli society. 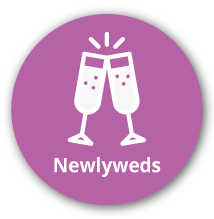 More fulfilled couples make for better parents, better professionals, better citizens and better neighbors. Esir and Florence were married for 52 fulfilling years. Their dedication, understanding and a pureness of heart to each other was a constant example to their children, especially Susan. Together in Happiness is a fitting tribute to the attributes of this modest couple.